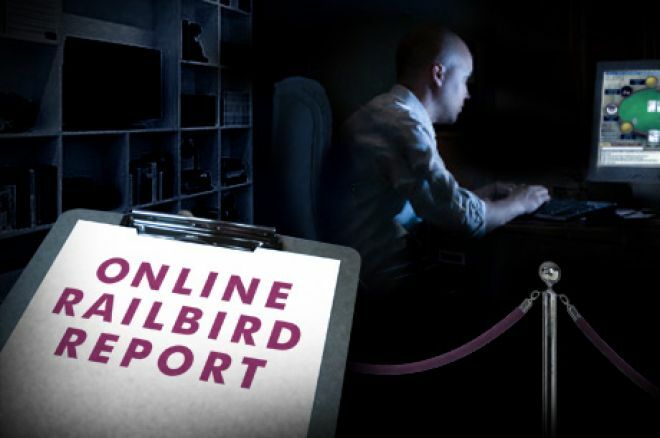 Welcome to the first Online Railbird Report of the New Year. As expected, Niklas “ragen70” Heinecker finished as 2013’s biggest online winner, while Gus Hansen took the infamous title of biggest loser. Now the yearly leader board has been wiped clean and we begin anew. Because of PokerNews' holiday break, the first 2014 edition of the Online Railbird will take into account the online high-stakes action through Thursday, Jan. 9. The 2014 PokerStars Caribbean Adventure is currently in full swing, and of course that event has reduced the action on the virtual felt a bit. That said, there has still been enough happening to write about. For instance, “mikki696” has gotten off to a strong start and is the early 2014 leader with $400,984 in profit, which came from 4,264 hands over 61 sessions. 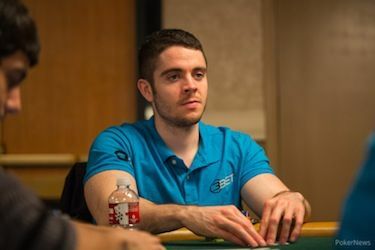 Likewise, Ben “Bttech86” Tollerene (+$316,580 in 34 sessions/3,712 hands), “2Ari Gold” (+$272,575 in 52 sessions/3,912 hands), “Doorbread” (+$235,062 in 42 sessions/3,230 hands), and Daniel “jungleman12” Cates (+$173,492 in 22 sessions/2,320 hands) all did well on Full Tilt Poker. Over on PokerStars, “yurasov1990”* (+$179,391 in 9 sessions/1,281 hands) and Bryn Kenney* (+$156,553 in 8 sessions/1,357 hands) both booked six-figure wins, the latter of which was written about here. On the flip side, Viktor “Isildur1” Blom is the year’s biggest loser so far after dropping $587,584 in 14,224 hands over 136 sessions. Not far behind is Gus Hansen (-$507,081 in 75 sessions/10,385 hands), who seems to have picked up where he left off in 2013. Other players in the red include Patrik “FinddaGrind” Antonius (-$303,590 in 11 sessions/853 hands), Ola “no_Ola” Amundsgard (-$244,334 in 43 sessions/4,246 hands), and “Sanlker” (-$163,641 in 15 sessions/2,328 hands). The high-stakes games spread straight away in the New Year, but on Thursday, Jan. 2, there was only one six-figure winner – “SallyWoo,” who you may recall was the brunt of a recent tirade by Gus Hansen. He managed to beat Blom at the fixed-limit Omaha hi/lo tables for $185,500. The duo played three sessions, and Blom actually won $110,000 in the first, which was played at the $1,000/$2,000 tables. From there they took to the $2,000/$4,000 tables, and over the course of five hours and 889 hands “SallyWoo” relieved his opponent of $154,000. In the third and final match, “SallyWoo” continued his winning ways and banked $142,000 in 80 minutes. “SallyWoo” would go on to book wins the next two days, even finishing as the biggest winner on Saturday, Jan. 4 with $241,300 in profit. Much of that — $151,000 to be exact – came from an early-morning-hour match against Blom at the $2,000/$4,000 FlO8 tables. The two played for just 14 minutes, and it only took 26 hands for “SallyWoo” to acquire his spoils. Blom went on to lose $248,000 on the day. As for “SallyWoo,” he moved on to the $500/$1,000 CAP no-limit hold’em tables and played for two hours against “Sanlker.” It took 288 hands, but “SallyWoo” eventually walked away an $89,700 winner. Here’s a look at one of the more notable hands from that match. It was a good start to the year for “SallyWoo” as he was up over half a million dollars, but he ended up giving much of it back over the course of the next week. Ben “Bttech86” Tollerene finished 2013 as the biggest pot-limit Omaha (PLO) winner, so it was no surprise to see him ply his trade in the New Year. On Sunday, Jan. 5, Tollerene won a hefty $453,900 playing PLO, some of which came from a 100-minute match against Patrik “FinddaGrind” Antonius at the $500/$1,000 CAP PLO tables. Hand #1: Antonius ($43,914) opened for $2,000, Tollerene ($116,066.50) called, and the flop came down . Tollerene checked, Antonius bet $3,000, and Tollerene woke up with a check-raise to $9,000. Antonius responded with a three-bet to $31,000, Tollerene capped it at $47,000, and the Finn called. Antonius flopped a pair with the nut flush draw, which he’d need to hit to overcome Tollerene’s middle set. The two agreed to run it twice, and on the first it came the and . Antonius made his flush, but it was no good as the running queens paired the board and gave Tollerene a full house. On the second run, the turn gave Antonius another flush, and this time it was good as the river failed to pair the board on the river. You know what they say… everyone loves a chopped pot! Hand #2: Antonius ($24,498) opened for $2,000, Tollerene ($215,448.50) called, and the flop fell . Tollerene ended up check-raising Antonius’ bet of $3,000 up to $9,000, and that prompted the Finn to shove all in. Tollerene made the call and just like that there was $48,996 on the line. Tollerene had flopped the nuts, but Antonius was drawing live with his set of tens. Again it was run twice, but Antonius was left empty handed as neither the and on the first run, nor the and on the second, paired the board. Later that evening, Tollerene took to the $200/$400 CAP PLO tables and won an additional $250,000. After topping the daily leaderboard on Wednesday, Jan. 8, “mikki696” repeated the feat on Thursday by winning $174,100 at the $200/$400 CAP PLO tables. It came from 3.5 hours across four tables against players like Gus Hansen and Ola “no_Ola” Amundsgard, the former finishing as the day’s biggest loser after dropping $129,000. In one notable pot, action was six handed when Jens “Ingenious89” Kyllonen ($11,973) opened for $900 from the cutoff, “mikki696” ($31,657) called from the button, and Hansen ($49,124.50) three-bet to $4,000 from the small blind. The big blind folded, both of the other players called, and it was three-way action to the flop. Hansen led out for $12,000, Kyllonen called off his remaining $7,973, and “mikki696” called to cap the pot. No one held a heart draw, so “mikki696” was in decent shape with middle set. The turn didn’t change anything, and neither did the river. With that, “mikki696” was pushed the $44,370 pot.